The Alimony Reform Act of 2011 took effect on March 1, 2012 and significantly changed the law in Massachusetts relating to awards of alimony. Today, the Massachusetts Appeals Court released an opinion that addresses some of the questions still surrounding the Act. Hassey v. Hassey, No. 13-P-864 (2014, available for download here). While there are numerous provisions dealing with the determination of amounts and duration of alimony, the Appeals Court pointed out clearly that the "Act altered neither the fundamental purpose nor the basic definition of alimony: 'the payment of support from a spouse, who has the ability to pay, to a spouse in need of support.' G.L. c. 208, § 48." Hassey. Because of the existence of a formula for calculating the maximum general term alimony under the new law, many have argued that the new statute encourages alimony in cases even when the recipient spouse may not have a need, but simply has a lower income. The Appeals Court has clarified that the formula (despite its convenience) is not the first inquiry in a case. The first inquiry remains whether or not there is a need for alimony and an ability to pay. In this case, the lower court failed to include in the findings of fact a finding making it clear that "he considered the ability of each party to maintain the marital lifestyle." Hassey. This failure opened the door for the Appeals Court to review the amount of the alimony award. "While such an award may nonetheless be reasonable and lawful under § 53(b ) if based on a specific determination of the recipient's need (and assuming a proper consideration of the other spouse's ability to pay), we cannot say that is the case here because the judge made no finding as to the amount of alimony the wife needed in order to maintain the lifestyle she enjoyed during the marriage. See Heins v. Ledis, 422 Mass. 477, 484 (1996) ("An award of alimony is improper absent a finding of financial need on the part of the recipient spouse")." Hassey. 4. Self-Modifying Order is NOT Authorized by the Act. The lower court in Hassey attempted to provide the Wife with further alimony via a self-modifying alimony provision requiring the Husband to pay 30% of Husband's gross income in excess of $250,000. The Appeals Court had two problems with the Self-Modifying Order. First, the self-modifying order "is not based on a judicial determination, supported by subsidiary findings of fact, of an increase in the wife's need accompanied by the husband's ability to provide for the same." Hassey. This determination on a modification would put the burden on the Wife but by creating a self-modifying order the burden is improperly shifted to the Husband. Second, the Appeals Court found that the self-modifying order is "inequitable because it requires only the husband to disclose quarterly income to the wife." Hassey. If the Wife earned income, it would certainly affect her need and the calculation of any formula difference in the future. 5. The Act Defines "Full Retirement Age", which is not the same as "Retirement"
"...the Act does not define the term "retirement," and the order could therefore be read to terminate instead upon the husband's actual retirement. Because the order could be read as the husband suggests and because the case must be remanded in any event, we also vacate and remand this portion of the amended judgment to enable the judge to eliminate the ambiguity." Hassey. "Section 34 contains both mandatory and discretionary factors that must be considered... the Act added for consideration 'the amount and duration of alimony, if any.'" Hassey. "In view of the family's enjoyment of the Chatham property during the marriage-- contributed by the wife to the marital partnership--the exclusion of the wife's interest in the Chatham property cannot be sustained. We think the judge took too narrow a view of "financial reliance" upon an asset, evidently basing his analysis solely on the asset's impact on the family's tax obligations." "First, we examine the trial judge's findings to determine whether all relevant factors were considered (and whether irrelevant factors were disregarded). See Rice v. Rice, supra at 401-402; Bowring v. Reid, 399 Mass. 265, 267 (1987)." Hassey. "Next, we decide whether the rationale underlying the judge's conclusions is apparent and whether these "flow rationally from the findings and rulings." Williams v. Massa,431 Mass. 619, 631 (2000)." Hassey. Considerable discretion is given, but only if all factors were considered. As practitioners the obvious lesson here is that very detailed and complete Proposed Findings of Fact could be the key to losing or winning on appeal. Guest Post from Jonathan R. Eaton, Esq. of Finn & Eaton, P.C. and of counsel to Kelsey & Trask, P.C. - Attorney Eaton focuses his practice on family law, serving clients in the areas of divorce law, child custody & visitation disputes, modifications of existing judgments in the Probate & Family Courts, drafting and negotiating prenuptial agreements, and guardianships & conservatorships. Jonathan is also trained in Collaborative Law. "In determining the appropriate form of alimony and in setting the amount and duration of support, a court shall consider: the length of the marriage; age of the parties; health of the parties; income, employment and employability of both parties, including employability through reasonable diligence and additional training, if necessary; economic and non-economic contribution of both parties to the marriage; marital lifestyle; ability of each party to maintain the marital lifestyle; lost economic opportunity as a result of the marriage; and such other factors as the court considers relevant and material." M.G.L. c. 208, §53(a). The judge is limited in cases of general term alimony to not exceeding "the recipient's need or 30 to 35 per cent of the difference between the parties' gross incomes established at the time of the order being issued." M.G.L. c. 208, §53(b). However, the judge may deviate from these limitations for the reasons enumerated in §53(e). 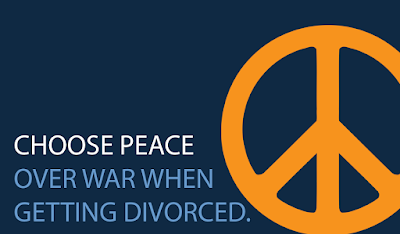 In Steele v. Steele, a Rule 1:28 decision by the Massachusetts Appeals Court successfully tried and argued by Jonathan R. Eaton through Kelsey & Trask, P.C., the husband and wife had been separated for the last seven years of a twenty-eight year marriage. During their separation, the wife lived frugally, while the husband's upper middle class lifestyle remained unchanged. Further, the value of the couple's assets increased during this period. 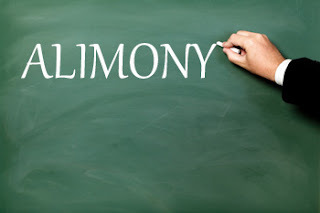 The trial judge had calculated the wife's need for purposes of determining the amount of alimony that the husband was to pay, as well as analyzing the §53(a) factors, by examining the marriage and lifestyle during periods of cohabitation and separation. The husband appealed, arguing that the wife had reduced her need, and as such, the amount of alimony that she required should be correspondingly reduced. "It would obviously defeat that purpose if the separation itself needed to be vigorously disputed by the parties to avoid the specter of enduring advantage." Clouding the alimony analysis was the wife's separate support action a year prior to the husband's complaint for divorce. The separate support action was resolved by stipulation, for a weekly amount significantly less than the alimony award. The husband appealed this issue as well, arguing that a material change in circumstances had not occurred warranting a change in the amount to be paid. The Appeals Court disagreed on this issue as well, rejecting the husband's argument to apply the standard in modifying a divorce judgment, when a divorce had not yet taken place. A separate support action is different from a divorce, as the marital relationship remains while the spouses are living apart, and there is no contemporaneous division of the marital assets. Lastly, the husband argued that the couple's assets should have been divided using values as of the date of separation, and not at the time of divorce. The trial judge had awarded the husband more of the assets than she did to the wife, to reflect the differences in their respective contributions after the couple separated. The trial judge found that, through the joint management of certain assets and the continued filing of tax returns, the couple continued some aspects of their marital partnership. As such, using values as of the date of separation would have been improper, and Appeals Court agreed. If you should have any questions about alimony or property division in Massachusetts, contact the attorneys at Finn & Eaton, P.C. or Kelsey & Trask, P.C. to schedule a one-hour consultation.